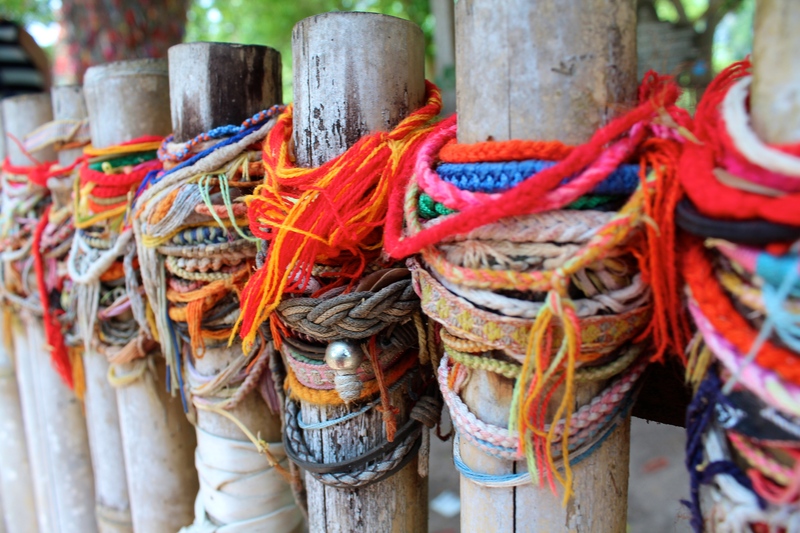 I arrived in Cambodia after four fun-filled and water-soaked days of Songkran in Chiang Mai, Thailand. What an experience! When I left Chiang Mai on the night train to Bangkok I immediately did not feel well. My stomach had been uneasy all day, but true to my ‘mind over matter’ ways I told myself it would pass and I would be just fine, this time it did not work. Whether it was the food I had eaten earlier that day or the past three days of dirty water being thrown on me, my stomach was not happy. Luck being on my side, I was on the train and not a bus. The trains in Thailand are well kept and each car has its own attendant, I had a comfortable sleeper bed all to myself and I laying horizontal proved to be my savior while enduring the misery of an upset stomach. 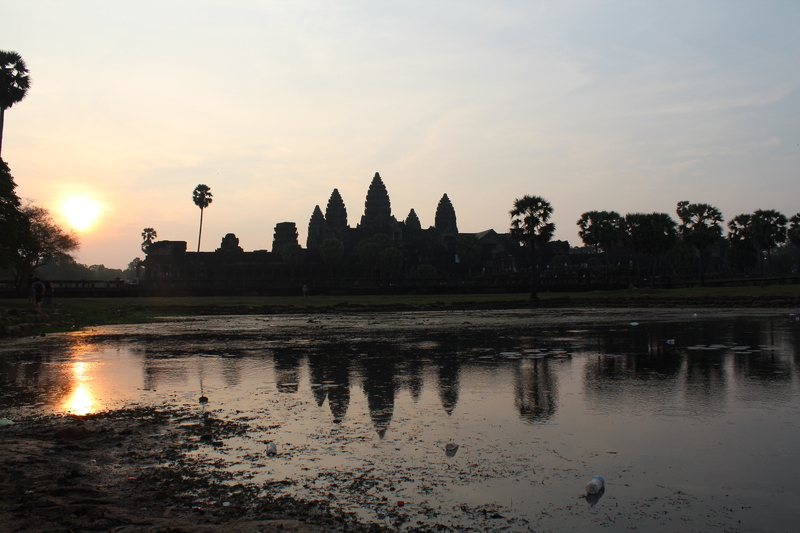 Once in Bangkok I took a short flight to Siem Reap and arrived around midday. 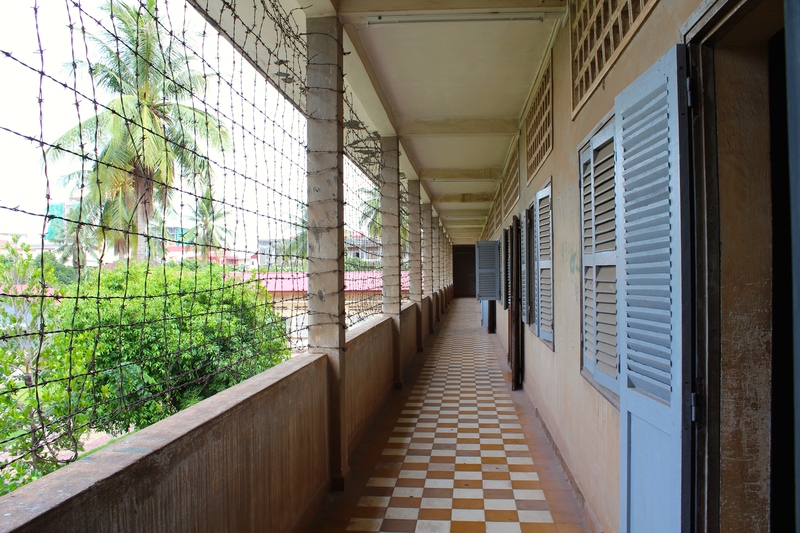 Cambodia was when I would have a whole week to myself and I planned to enjoy it, starting with a private room and bath for $12 a night instead of the usual cramped, noisy, and often smelly dormitory room! 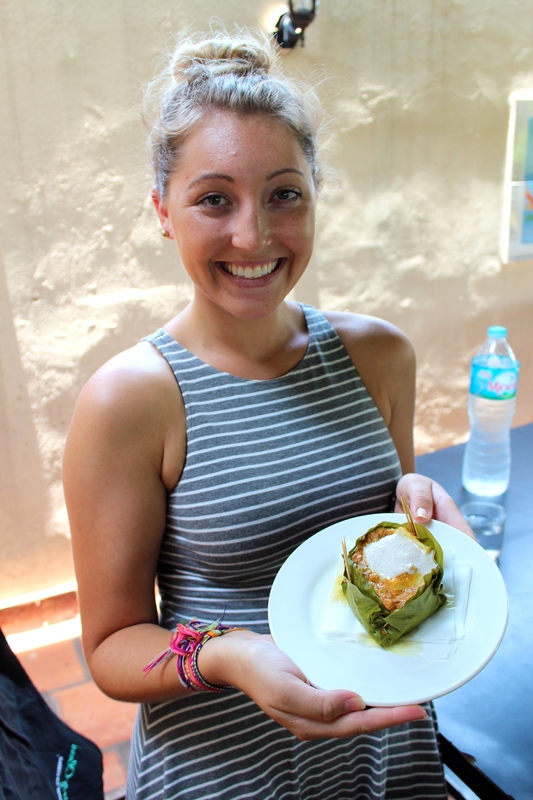 My first four days were spent in Siem Reap and they were lovely, even while getting over the stomachache and attempting to regain an appetite. It happened that two fellow teachers friend from Thailand were going to be in Siem Reap during the same time so we decided to explore the many Wats and temples together, and often met for dinner in the evenings. 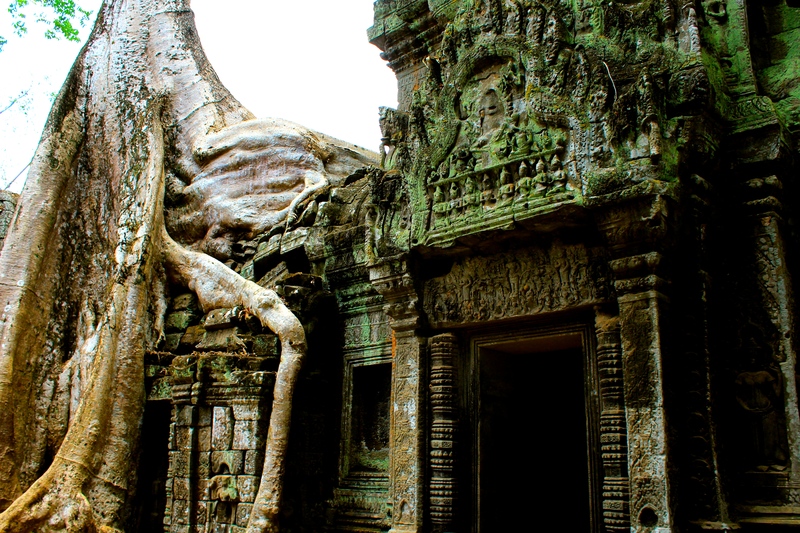 The most famous temple in Cambodia, and around the world is Angkor Wat. It is truly spectacular and worth the visit no matter how many hundreds of people are there roaming the grounds beside you. 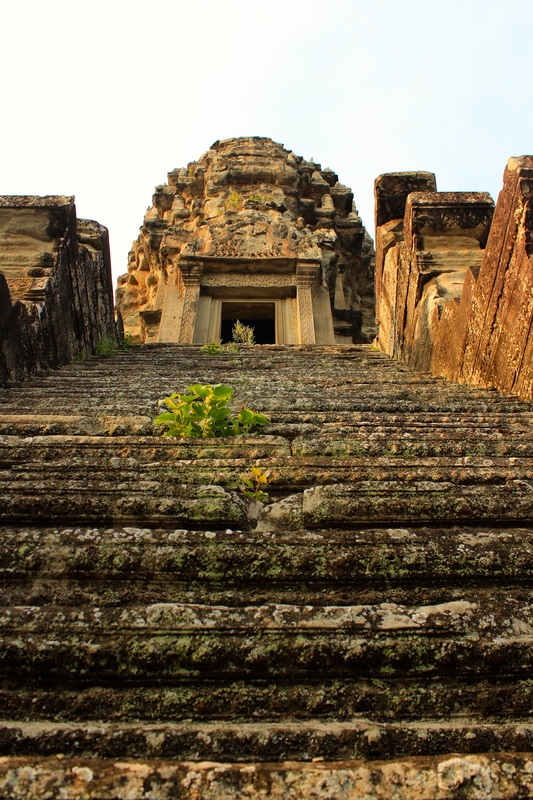 The day we were to explore Angkor Wat and the surrounding temples started with a bit of a hitch. We were scheduled for a 5am pick-up to catch the sunrise, but the boys accidentally slept through their alarm! They felt terrible and by the time they picked me up at 5:40am I was afraid we had already missed the sunrise as clouds of pink had already started to glow above me. 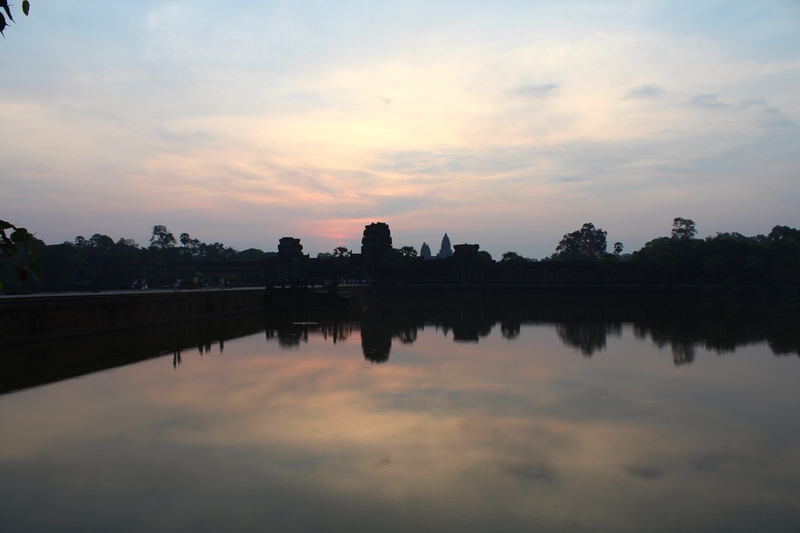 With the temples sitting only twenty minutes, however, and a rush through the now empty entrance lines, we were able to catch the end of the sunrise behind Angkor Wat. After walking the grounds of Angkor Wat we were driven through the only remaining gate of the old city and into a landscape of crumbling temples. Each was beautiful and unique with its extravagant carvings and engravings. Admittedly, I ended up semi-rushing through a couple of them, as it was extremely hot out and humid now that the sun was completely up. 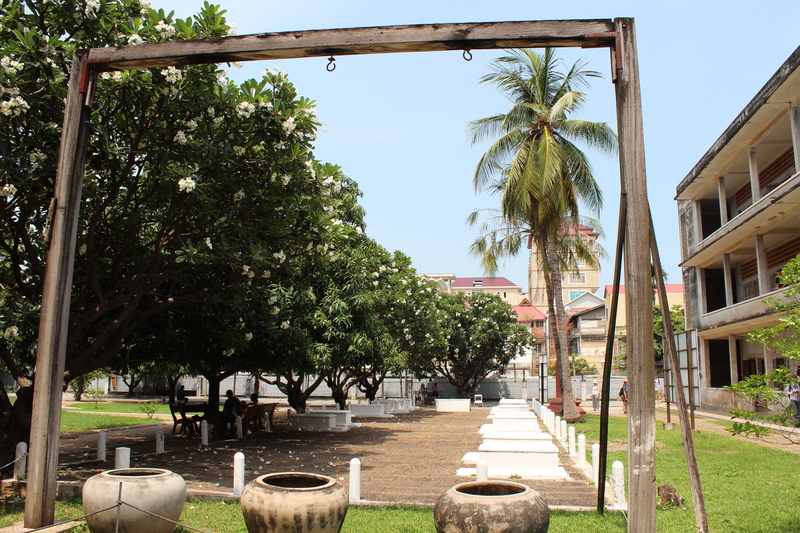 When it’s hot and humid, you sweat, one of the many joys as a traveler, and all in the name of cultural and historical exploration. Angkor Wat aside my favorite temple was Angkor Ta Prohm, previously less explored, but made famous when Angelina Jolie filmed Tomb Raider in 2001. I loved this temple due to the myriad of colors, various passageways, and the shapes in which the trees have grown through, over, and around the openings and chambers. Angkor Ta Prohm to me was an enchanting temple from the moment you arrived and walked the forest-covered path to find it. 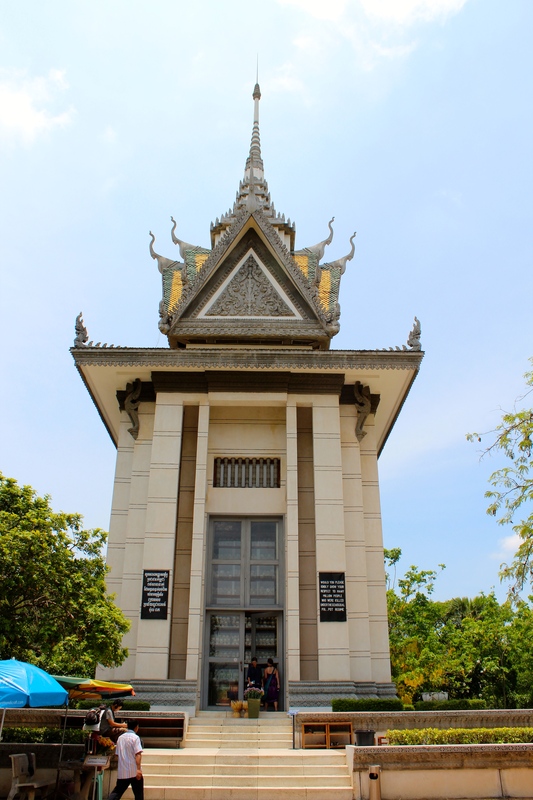 The next day I visited the National Museum in Siem Reap after reading rave reviews about it. I was impressed with the brand new looking exterior and the superb exhibits inside. The room of 1,00 Buddhas was one of my favorites, and to date the entire museum is one of my favorites on all counts of design, layout, and content. 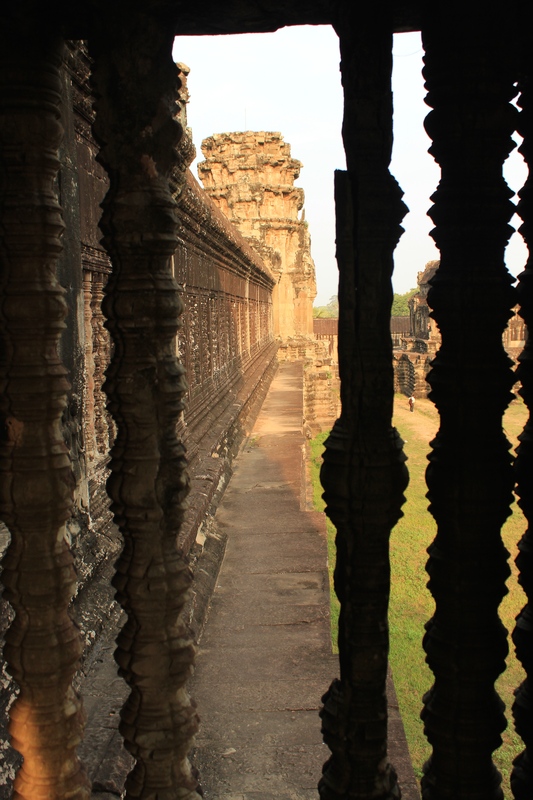 I learned and came to understand the rise and fall through the Khmer Empire, influences of Chinese, Hinduism, and most recently Buddhism from the 1st-18th centuries. Bracelet purchases from this wonderful lady! 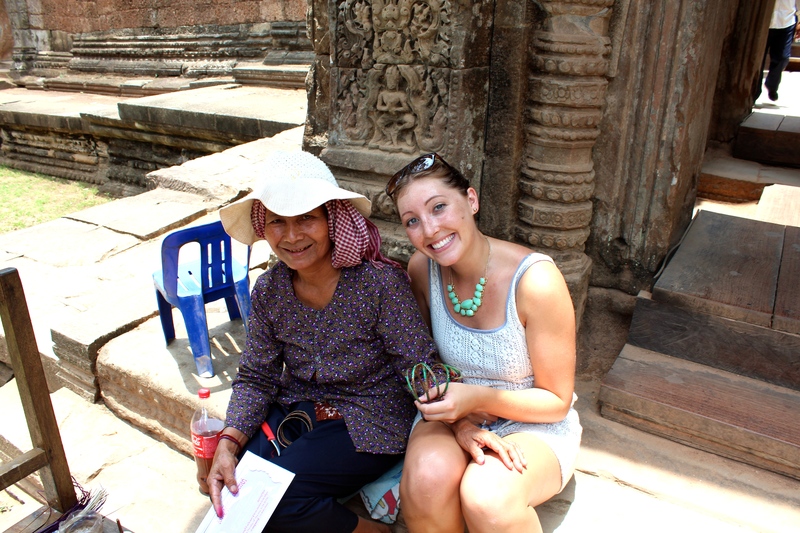 My last day in Siem Reap was Easter Sunday. Although it was still Saturday evening in America I wanted to FaceTime my family and wish them an early Happy Easter. I was pleasantly surprised to find my entire extended family, minus a few of us, together celebrating my grandpa’s 81st birthday! It was so lovely to see them all and give them a quick hello – seeing family instantly made my day ten times better, even as it was just beginning. That same evening the boys and I decided to treat ourselves to a nice three course Easter meal at my hostel, hosted at the rooftop bar. Stuffing, mashed potatoes, bacon wrapped chicken, and dessert. It was delectable. 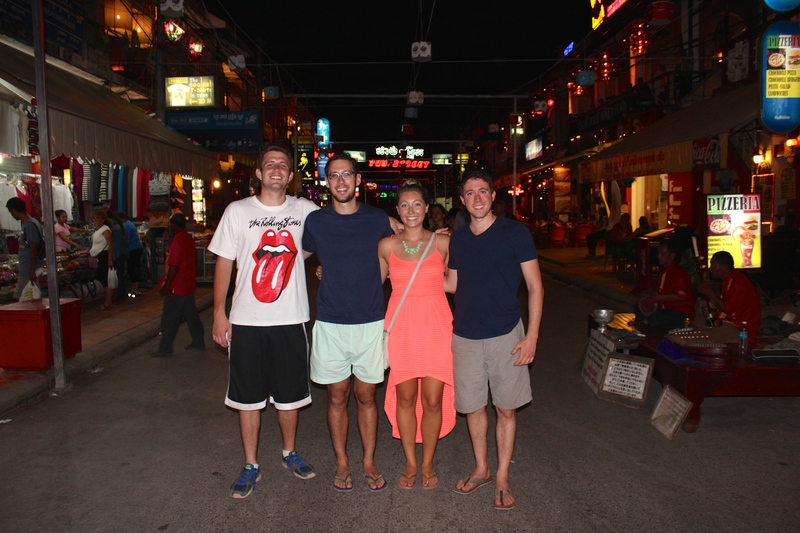 Afterwards we decided to walk our meal off at by wandering the bustling Night Market and Pub Street. Everything from clothes, jewelry, portable speakers, and trinkets of all sorts can be purchased. My go to purchase is always a magnet – one for me, one for my family; my parent’s refrigerator looks like a graveyard for magnets acquired around the world. 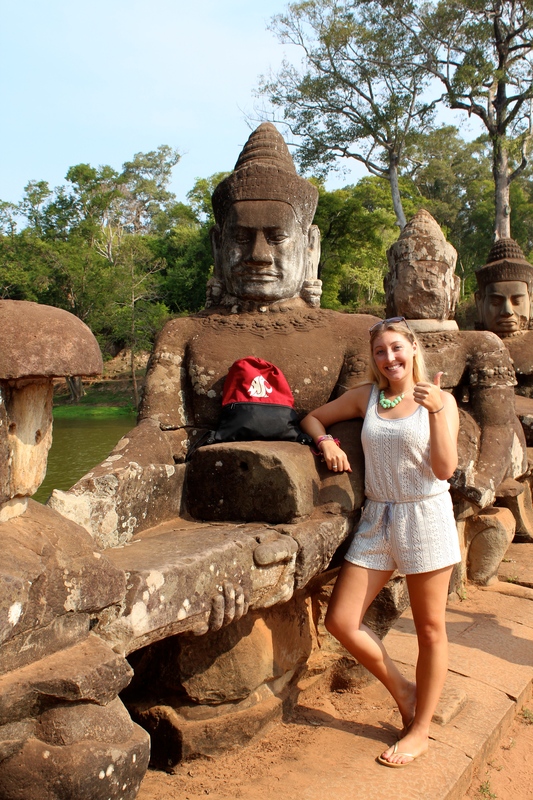 Siem Reap was easy-going and enjoyable, I would be happy to go back there anytime. 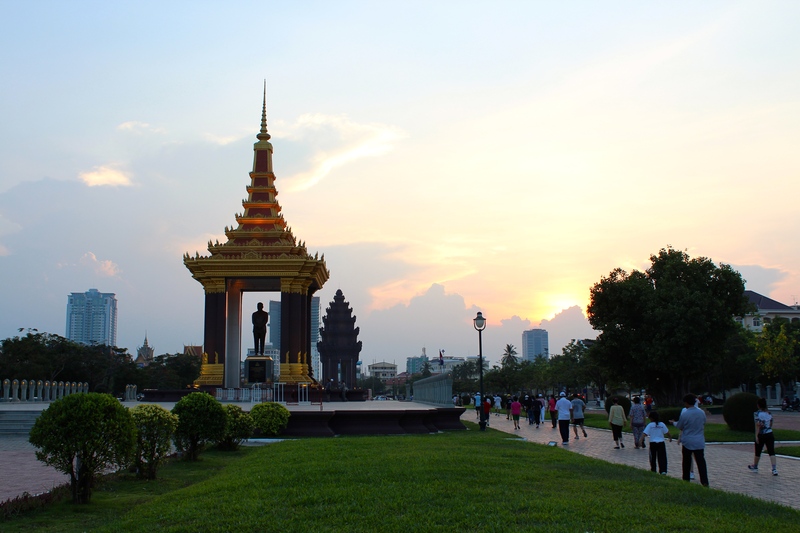 Next, I was off to spend my remaining three days in Cambodia’s capital, Phnom Penh. I took a minivan, as all of the buses had already been sold-out; the minivan happened to be cheaper and faster, so it sounded like a win-win for me. It turned out to be one of the scariest rides of my life, only second to the first time I experienced the drive to Mae Sot. 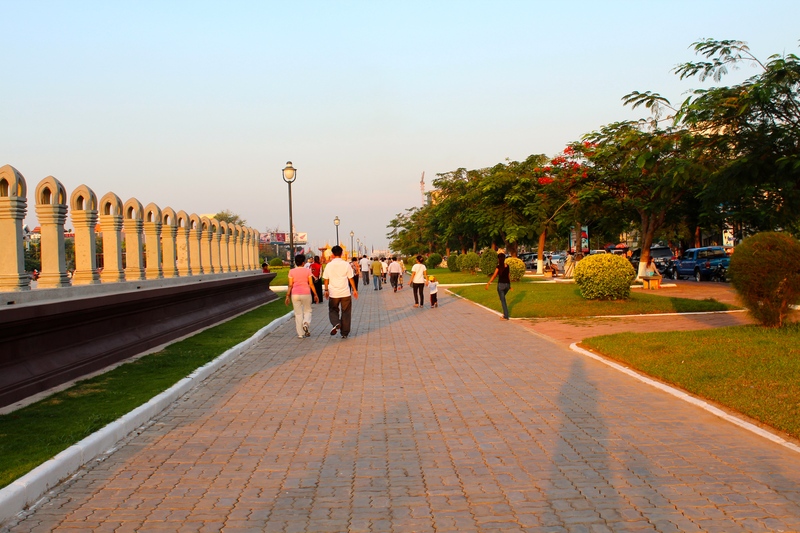 About 40-50% of the six-hour road to Phnom Penh is paved; the rest is dirt, sand, and potholes. The last contributing factor to this joyous ride was our driver with an apparent death wish. 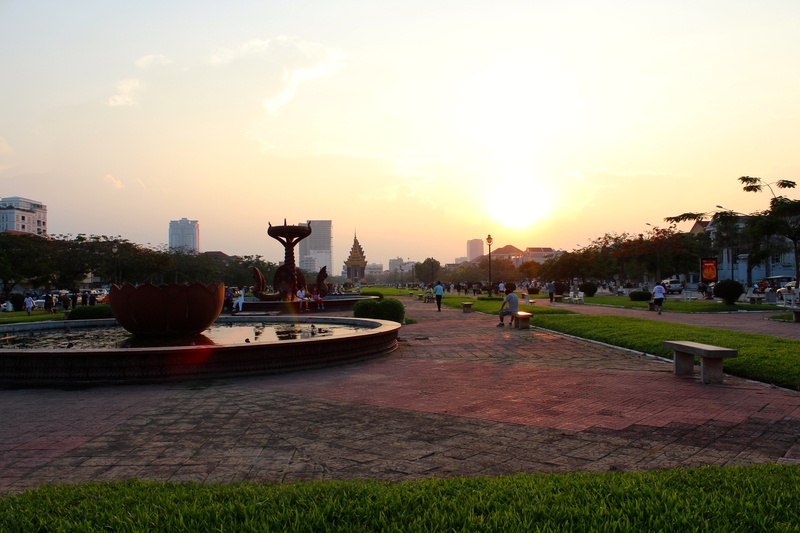 I was truly amazed when we arrived in Phnom Penh intact. 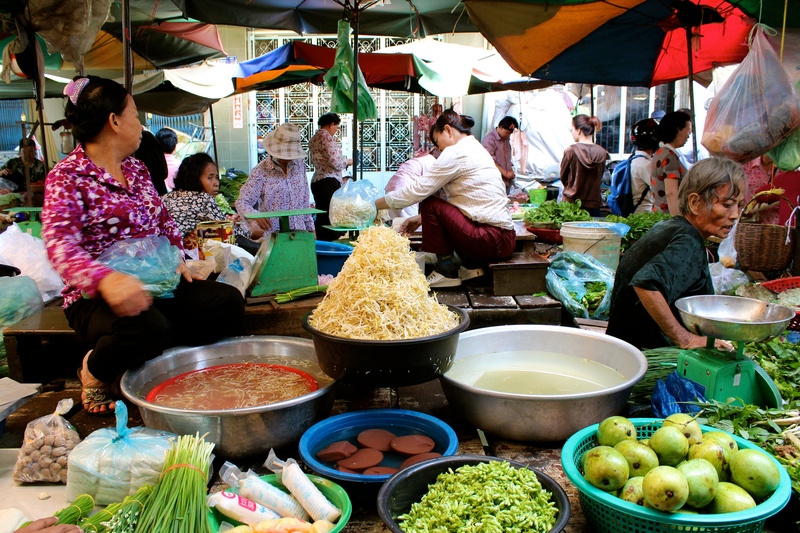 The difference between Phnom Penh and Siem Reap is immediate. 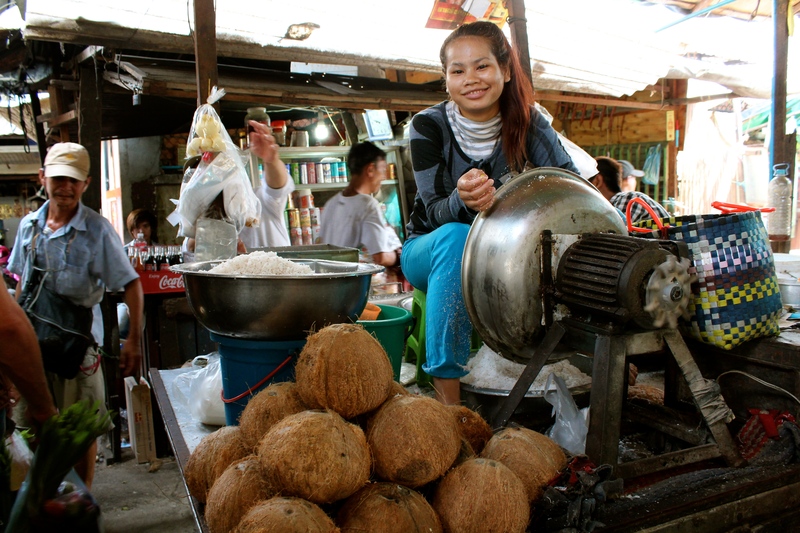 Siem Reap is the ‘country-town’ as the locals of Phnom Penh told me; perhaps that’s why I loved it so much being country-girl born and raised. 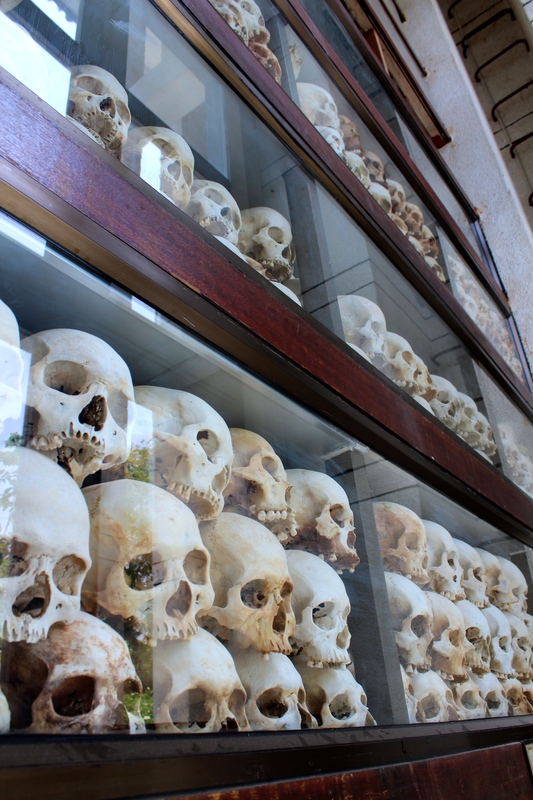 The capital is the site of the gruesome Killing Fields and S-21 Genocide Museum, some of the many remnant sites from the Khmer Rouge reign from 1975-1979. 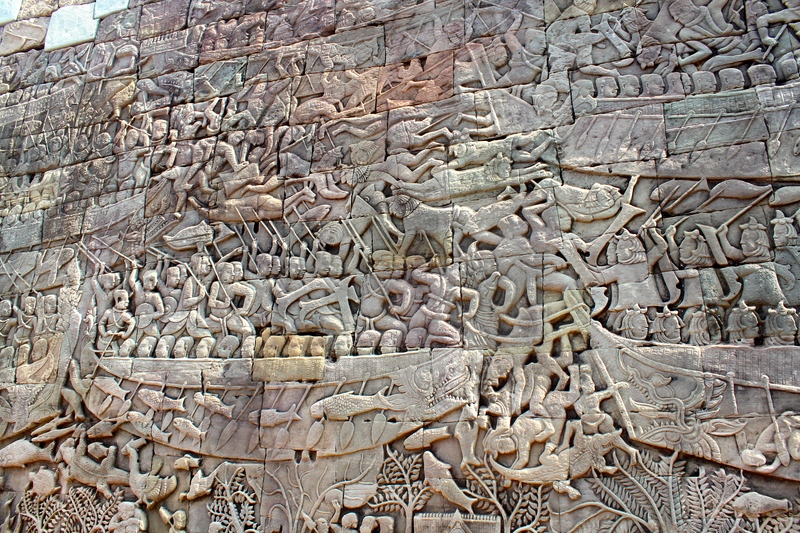 It is estimated 2-3 million Cambodians were killed during these years, roughly 30% of the nations population. Pol Pot, leader of the Khmer Rouge, aspired to cleanse the nation of Western influence and create a solely self-sustaining country. To carryout his plans, anyone who was educated, could speak or write English, or owned a business, were evacuated from the city immediately; almost all were lead to their deaths in the form of forced labor or various execution sites. The Khmer Rouge’s reign ended in 1979 when Vietnam invaded, resulting in the end of this terrible time for the Cambodian people; a time that most of the outside world was completely unaware of. 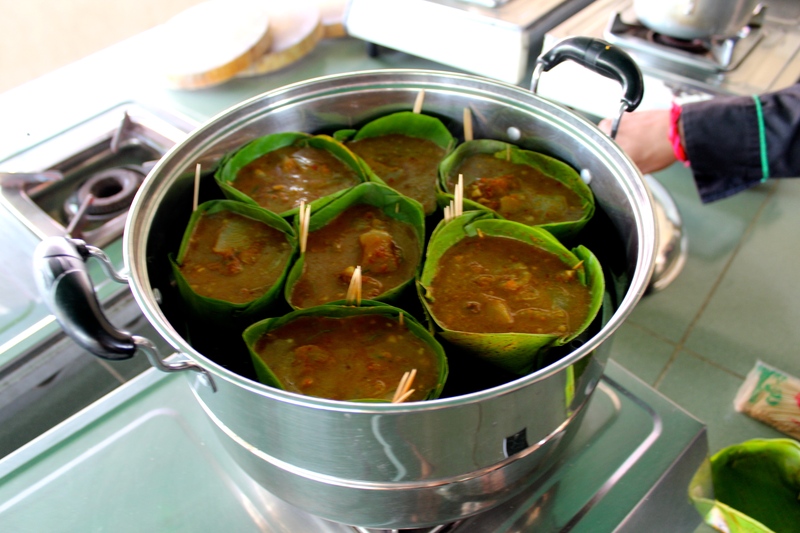 I ended my time in Cambodia with a cooking class, and later that evening a massage. I now consider this to be a perfect way to wrap up a week spent in a different culture. 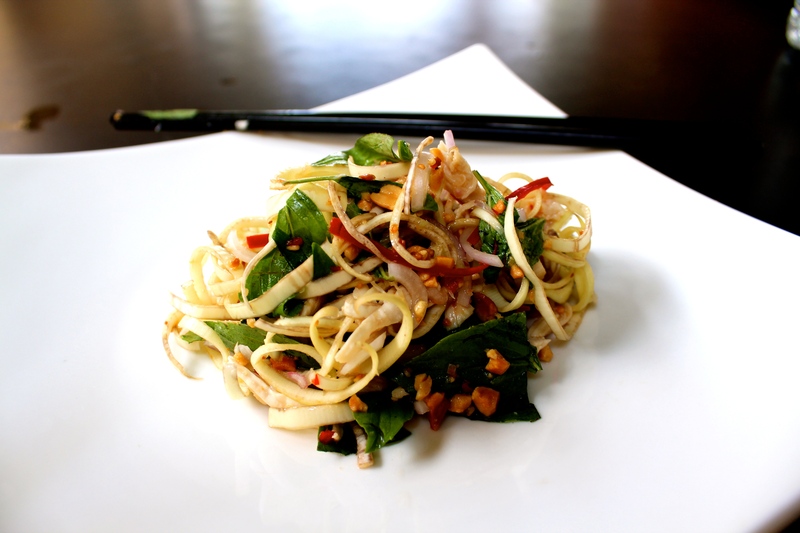 I learned how to make the traditional and delicious dish amok, and finally how to make one of my favorite salads in Southeast Asia; Banana Blossom Salad. I wish I could have spent more than a week in Cambodia, but as usual time moves too quickly. Cambodia is a country I would travel back to sometime in the future, especially since one or two cities along the southern coast were missed this time. I only hope that it does not change too much, or become to enthralled in the grasps of tourism. Great post. 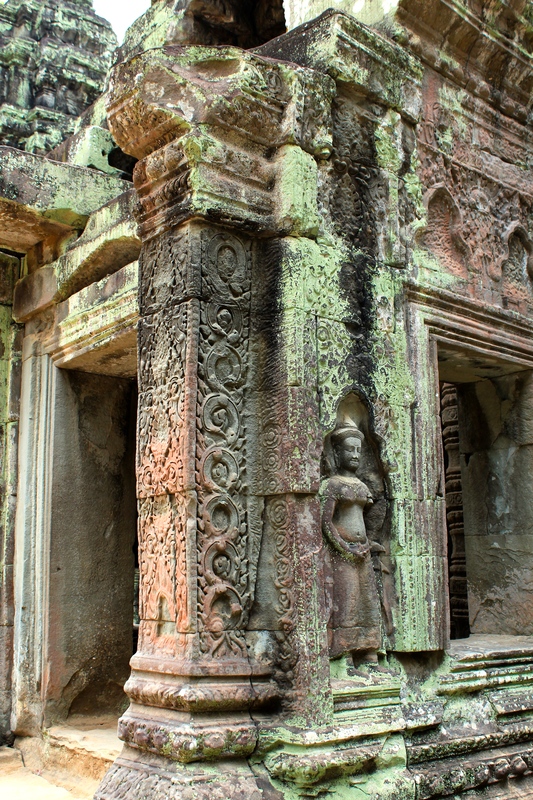 I also went to Siem Reap solo recently, although I didn’t get to Phnom Penh. Looks like your cooking class went well! 😉 I think solo travel in Cambodia is actually the best way to see the country. 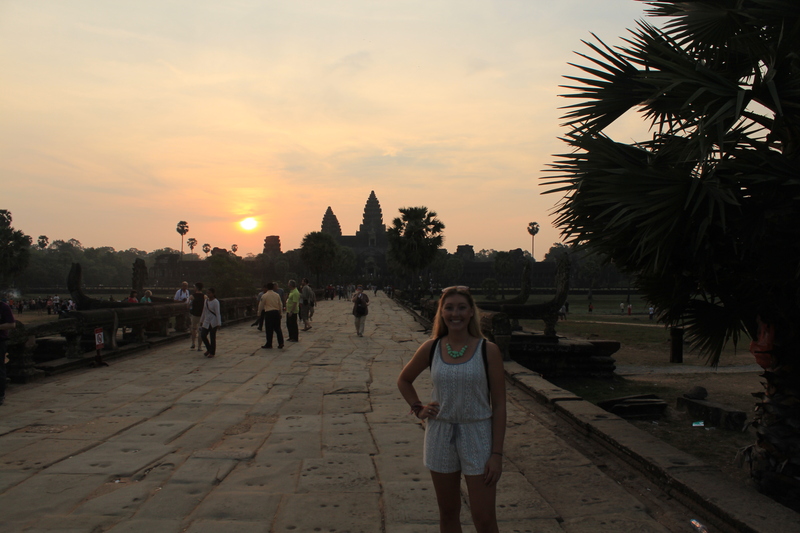 How is it even possible to take in Angkor Wat and Bayon when you aren’t even concentrating properly?